W.B. 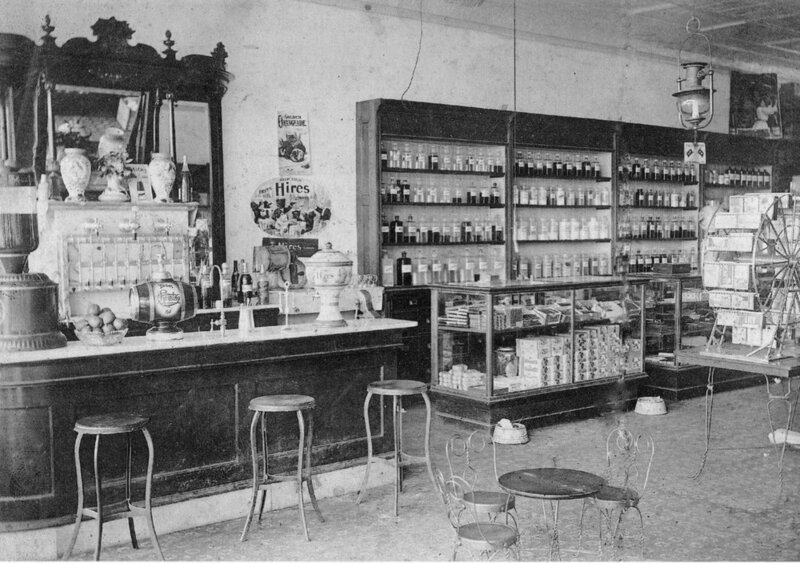 Ardrey inside his drug store in 1912. The Fort Mill Times ran an article on Sept. 9, 1903, stating - "Robert Boggus, the widely known and well respected shoe maker has opened a boot and shoe shop over Ardrey's drug store." Originally the home of Ardrey's Drug Store, this space was famously the location where proprietor W. B. Ardrey Sr. turned down a once-in-a-lifetime opportunity to get in on the ground floor of what became a worldwide brand. When presented the chance to invest in a new syrup product by a salesman, he declined believing it was not a good investment. The product turned out to be Coca- Cola. Even so, Ardrey ran a successful business here for many years and may have been the only merchant in the area to regularly stock Indian pottery. The space was later the Palmetto Grocery Store and is now part of B. Mack's Antiques. The Fort Mill Times ran an ad on Sept. 23, 1909 - Adrey's Drugstore - "Paint Now... Specify Devoe." The Fort Mill Times reported in July of 1914, on the 15th Anniversary of Ardrey's Drugs Store, where over 30,000 prescriptions had been filled.